Works do tomorrow so might just be recovered by that kick off time... be ready for a drink then. I'm out that evening so will probably miss the game. Guess it'll be back to the first team after Bristol City and hopefully the club can just keep ticking off the wins. Leicester are back in good form under Puel so it'll be a tricky match and they'll be bang up for it. Will be a tough game. Need Pogba and Matic to be on good form. I'd bring back Lingard and bench Martial. Bailly, Fellaini & Carrick all still out as well. Rumours Darmian & Blind didn’t travel with squad either. Team: De Gea, Lindelof, Smalling, Jones, Young, Matic, Pogba, Mata, Lingard, Martial, Lukuka. Lindelof off Shaw on move young to right back. Lindelof at right back is just a solid no for me. I agree, he’s been a liability really. It’s a no brainer that Shaw should come on as their right side is there for the taking, having Shaw bombing on will cause them a million problems. 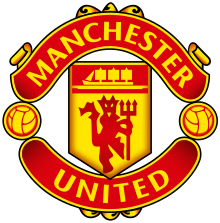 Please use existing Player Match Discussion threads or create new threads to discuss talking points in the Manchester United forum: Manchester United (link to Manchester United forum).